The lack of diversity in the curricula remains striking and anachronistic. In Scottish Literature for example the lesson titled “Scottish Women Poets” included works by Liz Lochhead, Carol Ann Duffy and Kathleen Jamie lumped in one lecture and one tutorial. However, there are two lectures on William Dunbar, two on Robert Burns, two on Walter Scott, and two on Lewis Grassic Gibbon. No-one will convince me that studying the poetry of Carol Ann Duffy (first woman, first Scot, and first openly gay person to be Poet Laureate of the United Kingdom) is worth 1/6th of the time afforded to any of those men. To make matters worse, Scottish writers of colour are conspicuously left out. Of course, the issue goes beyond Literature and is pervasive in all subject areas. With such an exciting offering of research-led option courses (the core courses remain sadly more of the “same old stuff”) at honours level, why should one have to suffer two years wading through Wordsworth’s daffodil fields before being introduced to the taste of Tutuola’s palm wine? A number of initiatives over the past years have attempted to address this, notably a symposium on Critical Pedagogies organised by PhD Candidates and Research Fellows in English Literature at the University of Edinburgh in 2013. I was fortunate to chair the panel on “Decolonising the University” and learnt an incredible amount from conversations on pedagogy, social justice, and issues surrounding equality and diversity in education. It was heartening to see like-minded individuals coming together to launch exciting new projects in the field. 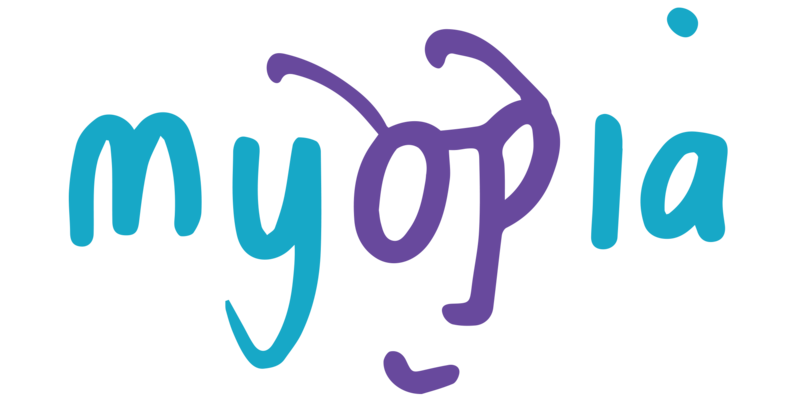 One such initiative is Project Myopia, with its mission to diversify the curriculum and revolutionise pedagogical practices at university. Driving culture change won’t be easy, some academics will offer resistance and obstacles will rise, but it is important, exciting, and necessary work. My contribution to Project Myopia’s crowdsourced curriculum is Carpentaria, a 2006 novel by Aboriginal Australian writer Alexis Wright, which I first encountered during my year abroad at the University of Queensland as part of a course on Current Issues in Australian Literature. The experience spurred me on to design a PhD proposal on contemporary Aboriginal and Maori women’s writing. I loved every part of the research process, and it only increased my reverence for the women whose work became my life for 3.5 years. Straddling tradition and (post)modernity, unashamedly syncretic and proudly Indigenous, Carpentaria refuses to be confined within the boundaries of genre, language, or literary canon. Wright’s second novel and the 2007 recipient of the Miles Franklin award, the most prestigious literary prize in Australia, tells the story of the Aboriginal Pricklebush people and their relationship with Uptown, the white zone of the fictional town of Desperance in the Gulf of Carpentaria, in the far north of Australia. Anita Heiss and Peter Minter remark in the preface to their Anthology of Australian Aboriginal Literature that “just as the Crown’s acquisition of 1770 had made sovereign Aboriginal land terra nullius, it also made Aboriginal people vox nullius” (2). One aim of contemporary Aboriginal writing is to reclaim this voice through the remaking of English to serve an Indigenous consciousness in the creation of a vox viva, or living voice. English languages and literature have a history of marginalising non-native speaking, non-white people, and from the early days of colonisation were used as weapons of imperialism to replace Indigenous languages and literatures. The subversive power of Indigenous languages and non-standard Englishes rests with their political potential as repositories of cultural knowledge and meaning-making practices: the problematics of denouncing colonisation in the colonising language allows Indigenous writers to play with language in ways impossible in monoglossic nations. The narrative voice of Carpentaria adapts to the characters, alternately formal and colloquial, borrowing from languages indigenous to the Gulf and high modernist western experimental prose to reflect the cognitive conflicts faced by Aboriginal speakers of multiple languages and dialects. Wright is concerned with patterns of speech and language, most evidently in the way the Pricklebush voice, Uptown voice, individual Aboriginal and white characters, the narrator, and the voice of the land intersect and interrupt each other. Indigenous people’s relationship with the land and their ancestors has been disrupted by colonisation, displacement and dispossession, thus it is simultaneously more arduous and more crucial to express a sense of place in language. The power of voice is such that through literature Indigenous writers are empowered to create a new language based on traditional orature and looking towards a decolonial reinvention of the future. Carpentaria should not be confined to the postcolonial curriculum but included in courses on contemporary and experimental fiction to examine its complex narration and multilayered play with language bringing marginalised voices to the fore, something our Literature curriculum is sorely lacking. Heiss, Anita and Peter Minter. “Introduction.” Anthology of Australian Aboriginal Literature. Kingston: McGill-Queen’s University Press, 2008. Wright, Alexis. Carpentaria. New York: Atria, 2009. Justine gained a PhD in English Literature from the University of Edinburgh in 2016 with a thesis on contemporary Australian Aboriginal and Aotearoa/New Zealand Maori women’s writing. After an internship in minority rights lobbying in Brussels, she returned to UoE to develop projects and partnerships designed to enhance the institutional offering of international learning experiences for students.